Historical fiction is my favorite genre to read because I love history (maybe I should have been a social studies teacher). It's also a genre I love to recommend to students because they learn about an issue, event, or time period as they are reading. Here's 9 historical fiction titles, that I've recently read and would recommend to high school students. Click the title of each to read my full review and ideas for using it in the classroom. The novel focuses on the Armenian genocide that takes place during World War I. An American young woman volunteering to help refugees falls in love with an Armenian young man who has lost his family. The cultural divide and the tragedy around them will test the strength of their relationship. In Four Souls by Louise Erdrich, the main character seeks restitution from and revenge on the lumber baron who has stripped her reservation. But revenge is never simple, and her intentions are complicated by her dangerous compassion for the man who wronged her. Young Julie Harmon works “hard as a man” and her family depends on her to do so. At just seventeen she marries and moves down into the valley of Gap Creek, where perhaps life will be better. Lisette possesses all the qualities of a brilliant young painter, but is saddled with a singular disadvantage – being a woman. When Lisette's father becomes ill and quickly dies, Lisette's life changes dramatically. Lisette, however, is determined to control her own destiny. Set in 1911 in New York City and framed between the Triangle Shirtwaist Fire and the fire at Dreamland in Coney Island, the novel weaves together history, romance and suspense, as a young girl grows up to learn the truth about her father and herself. The lives of three teens become intertwined as they try to reconcile the events following the terrorist attacks on September 11 and move forward with their lives. This a heartbreaking tale of brothers growing up as friends and torn apart by war. One, privileged and wealthy, escapes to America, while the other, poor and a racial minority, is killed by the Taliban. Three women of ancient Rome struggle to find the balance between family, power, and love. Livia, wife of Augustus Caesar wants peace for Rome, Julia, daughter of Augustus Caesar, wants to feel like more than a pawn, and Selene, daughter of Cleopatra and Marc Antony, wants peace for her new family. Eliza is happy with the life she leads as a wealthy merchant's daughter in Boston. But that life is turned upside down as the Revolutionary War begins and she experiences the injustices of slavery. The result is a dramatic transformation for Eliza. You are so right-The Kite Runner by Khaled Hosseini is heartbreaking. What a dichotomy of brutality and beautiful souls. terrific novel. I think it would be amazing to have students read a historical fiction book per quarter. You could generate a list of choices that matched up with the historical time periods you'd be covering each quarter. 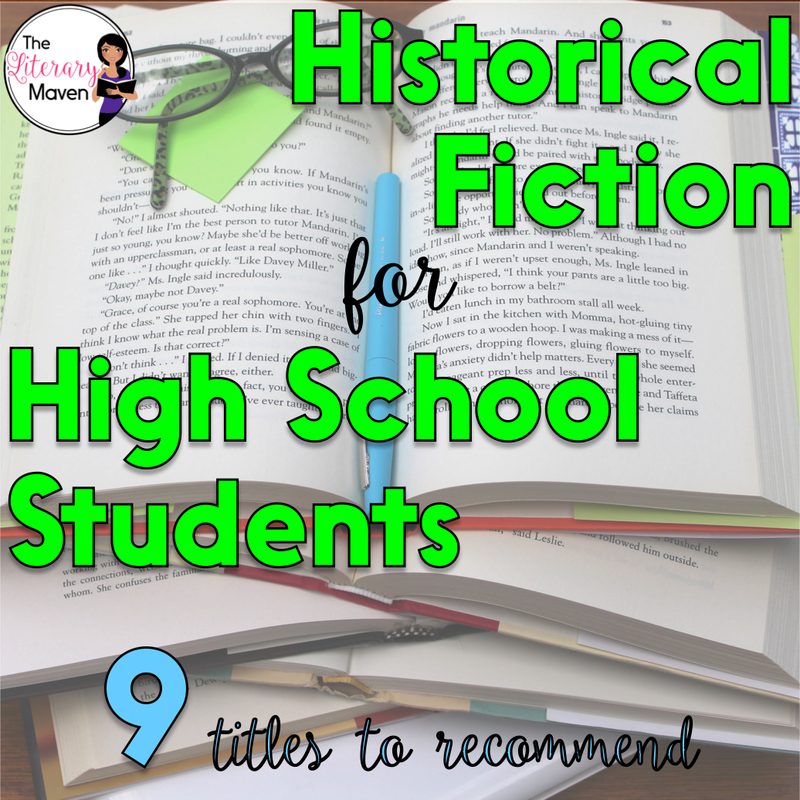 Students could choose from the list and have to assess how accurately historical events were portrayed, share inaccuracies, discuss the author's research methods, etc. Feel free to email me at brynnallison@theliterarymaven.com if you want to brainstorm further.